There are defining moments in our lives. Ones that leave an impact so large and the way we handle it will either make us, or break us. Moments that while they may not happen directly to you, have a profound impact upon you that is everlasting…. I woke up New Year’s Day and settled onto the couch with my cup of coffee, picked up my phone and clicked on the Facebook icon. I saw a “Who knows a good DUI lawyer” post, and those of others sharing the stroke of midnight with their families and friends. And then I started seeing posts appear that were of great concern. They were tagged to a beautiful young woman from my hometown and were reading: “So sorry to hear about your loss, we are praying for you…” My first thoughts were that a grandparent or parent may have passed. And then the post came that left me in a state of shock and stupor…. an immediate pain and heaviness on my heart for this beautiful young family. “I’m so sorry for the loss of your son.” Reading that was surreal, surely there was a mistake? Their beautiful 4 month old son Lincoln had stopped breathing in the night. This is the caring young woman who raised money for another family to be able to have a child of their own. The young woman who owns the local salon where you are always greeted with a smile and feeling of warmth from her genuine, beautiful spirit. This is the momma always posting pictures and stories about her babies that we so enjoy reading. I felt so helpless, the only thing I could do was go to prayer… “God this family believes in you and knows you; reveal yourself to them in a mighty way as they are left to deal with this loss. Wrap them in your peace and love. This is the type of thing that makes non-believers doubt your existence. They can’t see YOU are the only way to get through something like this. This is the type of thing that can shake even the believers. Please be with these parents and give them strength, peace and an abundance of faith.” I prayed for them off and on all day as I thought of the grief they must be experiencing, as I thought of how our lives can change in one instant and we will never be the same. From the Facebook posts I read, an entire community was praying and sending their love to this precious family. 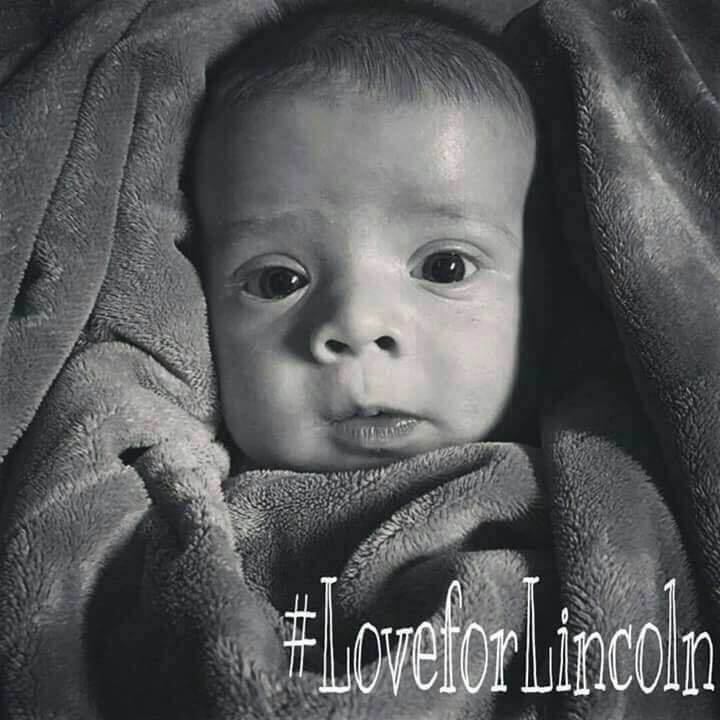 As my heart was still grieving for the family the next day, I opened up my Facebook to read these posts from the mother and father of baby Lincoln. This couple had just experienced loss, and yet they were posting words of encouragement for our souls and giving us a lesson in unwavering faith. I read these posts and tears started to fall as I witnessed some of the most amazing testimonies of faith I have ever seen. It’s easy to say we believe and have faith in the sunshine, but what about in the storms of life? That’s when we have to grab ahold of our anchor, when our faith is tried, and it’s when we become stronger. I read so many posts of how the parents were the ones comforting those that came to the services for their precious baby boy. I have witnessed this tragedy bring a community together in prayer and love. Their story has made many pause and stop to think about Jesus and where our hope comes from; for parents to appreciate their own children just a little bit more and hug them just a bit tighter. I have no doubt in my heart that this is a beginning in an end. These parents and their steadfast faith will rise above this tragedy and hold to God’s promise to make beauty for ashes. Their story has already been a witness to hundreds and in the future they will become a comfort to those who will suffer a similar loss. While their beautiful baby boy was only here a short time, the impact of his life will surely be eternal. Awesome awesome family!!!! We will continue to pray for them all!!! The power of The Lord is so good!!!!! And if they turn to him he will guide them threw the days ahead!!! i pray to our God for His peace and love to encircle this family at this sad time and forever more. Amen.